A collaboration of form and functionality, the Maclaren BMW Buggy combines luxury, elegance and sporty styling. 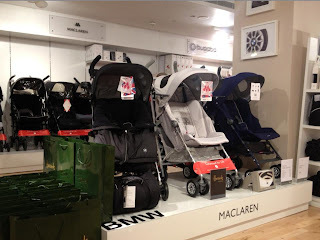 Last week me and Maxwell were invited to London to view the brand new Maclaren BMW buggy. We were really excited to see what it was all about and couldn't wait to see it. The Maclaren BMW buggy is exclusive to Harrods until the end of February 2013. When we arrived we were shown the buggy, I was pleasantly surprised at the way it looked and loved the fact it came in a different range of colours as well as coming with lots of accessories. My first impression was that the buggy was made for Dads and big fans of BMW! Maclaren have previously worked with other companies such as Cath Kidston and Juicy Couture to bring stylish buggy's to parents in the past however these were quite girly This is the first time they have teamed up with a car company to produce a more masculine pushchair. A key featured to me when buying a buggy is to make sure it is light weight as we need to climb stairs to get up to our house. This buggy would be perfect for myself, I found it easy to lift, I am only 5 ft. tall and normally find other branded pushchairs far to heavy. I really liked the idea of the buggy coming equipped with a removable, ergonomic bucket seat liner. This would provide cushioned comfort for your little one and ensure they would be comfy when travelling round in style. The liner is also Water- and stain- resistant fabric which I find important when having a little one around. I liked the idea of the carry strap. The carry strap has a padded shoulder strap which makes carrying comfortable and easy. This simple idea makes it easier for anyone carrying the buggy out and about but also helps me as it would help me support and carry the pushchair up the stairs to get to my house. There are a whole range of accessories Maclaren have thought about when making this pushchair. The pushchair comes with bucket style seat liner, shoulder pads, shopping basket and rain cover. 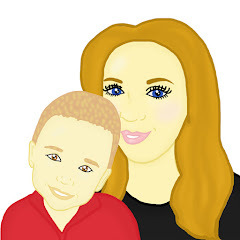 You are also able to buy extras to complete your buggy and are able to make it just that little bit more special. Universal organiser - This black organiser has space for bottles and a deep zip mesh compartment to keep not only your possessions but children's. Finished with the brand’s iconic logo, it is the ideal addition to your buggy. Park Blanket - This soft park blanket has a space saving roll up design, meaning it can be easily stored in your buggy. Changing Bag - This sleek black Nappy Bag has a spacious interior with room for all of your changing essentials. Finished with the brand’s iconic logo, it is the ideal complement to the BMW Buggy. The new buggy is available in Black, Silver, and Blue!